We had a great time at the Wantagh Chamber of Commerce 1st Annual St. Patrick’s Day Parade on March 17th! 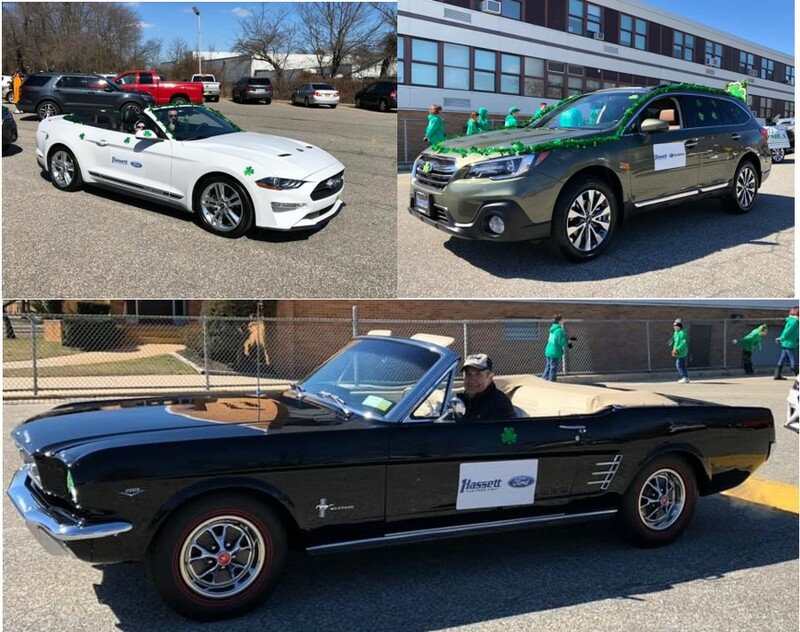 Riding in the parade was our all new 2019 Subaru Outback Touring driven by our Business Manager, James DiGiovanna and the all new 2019 Ford Mustang Convertible driven by Sales Manager, Matt Fusco and his son Landon. Our Sales Consultant, John Fanuzzi drove his award-winning 1966 Ford Mustang Convertible. Matt & James also participated in the John Murray Jr. Grand Marshall Dinner hosted by the Wantagh Chamber of Commerce on March 13th. We are very honored to be a part of this prestigious organization and look forward to being involved in future events!